Leeds-based Force24, which has developed one of the UK’s leading marketing automation platforms, has secured a £250,000 loan from NPIF – Mercia Debt Finance to further develop its product and introduce new features. NPIF – Mercia Equity Finance invested £200,000 as a follow-on to its initial investment of £100,000 in Darlington-based Laytrix, a business which has developed innovative systems for laying and removing subsea pipelines. The initial funding has been used to develop a client base, both locally and further afield, including the Middle East and Far East. 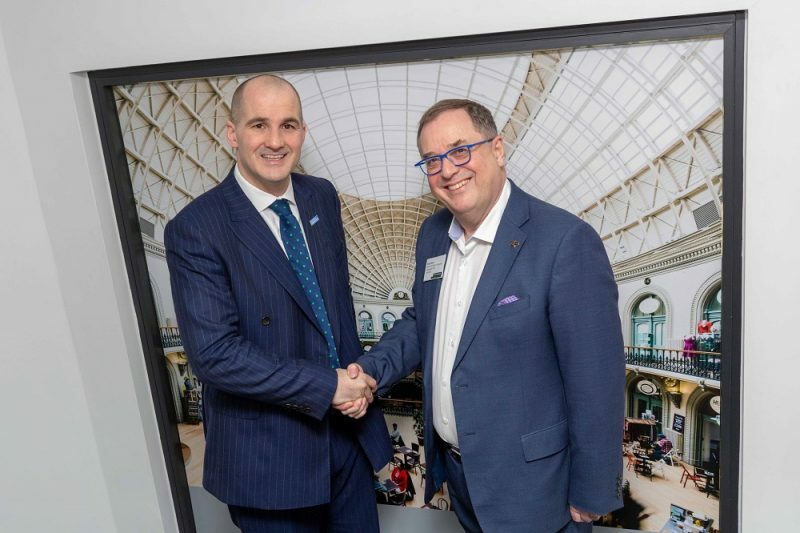 Jake Berry MP, Northern Powerhouse Minister with Roger Marsh OBE, Chairman of the NPIF Strategic Oversight Board and Chair of Leeds City Region Enterprise Partnership (LEP). The Northern Powerhouse Investment Fund will invest in Microfinance, Business Loans and Equity Finance sub-funds which will offer financing ranging from £25,000 to £2m, specifically to help small and medium sized businesses secure the funding they need for growth and development. The Northern Powerhouse Investment Fund is operated by British Business Financial Services Limited, wholly owned by British Business Bank, the UK’s national economic development bank. Established in November 2014, its mission is to make finance markets for smaller businesses work more effectively, enabling those businesses to prosper, grow and build UK economic activity. The Northern Powerhouse Investment Fund is supported by the European Regional Development Fund, the European Investment Bank, the Department for Business, Energy and Industrial Strategy and British Business Finance Limited, a British Business Bank group company. NPIF covers the following LEP areas: Tees Valley Combined Authority, Greater Manchester, Cheshire and Warrington, Cumbria, Liverpool City Region, Lancashire, Humber, Leeds City Region, Sheffield City Region, York, North Yorkshire and East Riding. The project is receiving up to £140,359,192 of funding from the England European Regional Development Fund as part of the European Structural and Investment Funds Growth Programme 2014-2020. The Department for Communities and Local Government is the Managing Authority for European Regional Development Fund. Established by the European Union, the European Regional Development Fund helps local areas stimulate their economic development by investing in projects which will support innovation, businesses, create jobs and local community regenerations. For more information visit https://www.gov.uk/european-growth-funding. British Business Financial Services Limited is a wholly owned subsidiary of British Business Bank plc, registered in England and Wales, registration number 09174621, registered office at Steel City House, West Street, Sheffield, S1 2GQ. It is not authorised or regulated by the PRA or FCA.